The design elements of an office environment reflect the business’ culture and core values. An office can impact employees’ mood and performance; being crammed in a bland room with hard chairs and fluorescent lights probably won’t motivate or inspire you much. The interior design team at Brands International, who supply top-quality office furniture in Malta, have compiled some tips on designing the perfect office. As your business grows, you might need to arrange desks, and your office infrastructure should be able to be changed without having to replace all the existing furniture. When buying desks, go for ones that can be easily moved and configured to suit the company’s changing needs. 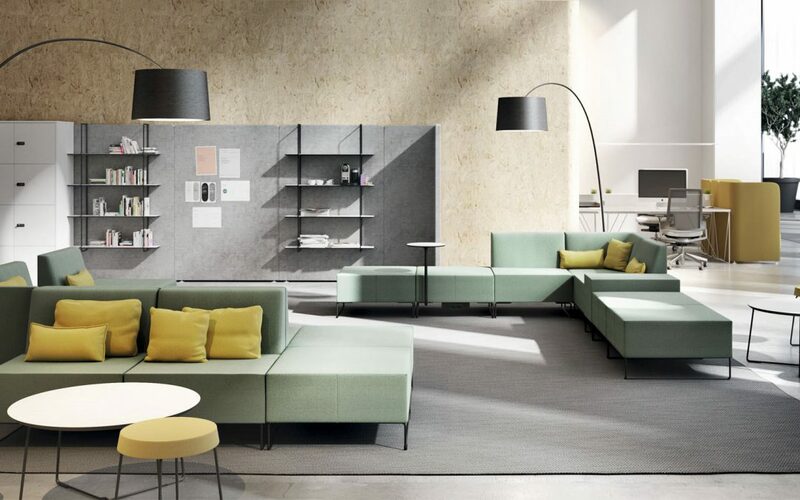 With the rise in open-plan offices also came a growing trend of activity-based work spaces, where individual ownership of a workstation is lost and the area is used for a broader range of activities including collaboration and socialising. Multipurpose desks make this possible, and we can consult you on the best solution for your space. Another great way of creating flexibility is providing different workspace environments within one office, assuming there is sufficient space to do so. By delegating specific areas that best suit the task and individual’s work style within an office ecosystem, employees can perform at their best. 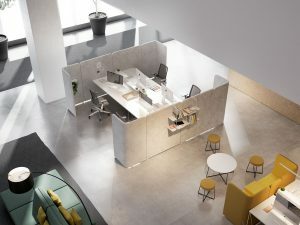 When employees need a place to focus to get work done, one can opt for task-specific wall dividers and other innovative products. Yet all work and no play makes Jack a dull boy. Chillout areas have become the norm at a lot of organisations, soft seating and pouffes, armchairs and sofas are ideal for relaxation areas. The sedentary lifestyle people have assumed from working in front of a computer for hours on end has imposed an unnatural position on us, which causes health problems. Ergonomics lay the foundation for an optimum working environment by promoting comfortable spaces and furniture which in turn boost productivity. As office furniture suppliers in Malta, we understand that no office is complete without ergonomic chairs such as the 3.60 chair by Forma5, aptly named after the 360-degree movement it enables, whilst supporting the body and promoting good posture. 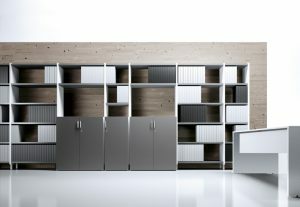 While at times overlooked, storage can be a crucial element in creating a healthy, organised office. Flexible storage systems provide a stylish way of hiding clutter and maximising space, and all are modular and customisable to ensure they fit your office space perfectly. Any aesthetically-pleasing art leads to an increase in creativity and adds personality to the space, creating a more welcoming feel for both workers and clients coming in for a meeting. If you’re looking for the highest quality home or office furniture Malta has to offer, contact us or come over to our showroom, where our range of furnishing options combine ergonomics, aesthetics and innovative technology from top European brands.